Asus has unveiled the U47, an ultraportable laptop based on Intel’s next-generation Ivy Bridge processor. Thanks to thin bezels, the U47 boasts a sizable14-inch display within a thin-and-light 13-inch shell. Besides portability, the U47 offers attractive configuration options, according to Notebook Italia. In addition to Core i5 or Core i7 processors, the laptop supports up to 8GB of memory and hard drive storage of up to 1TB. You’ll also be able to equip the U47 with a dedicated Nvidia GeForce video card. Factor in the DVD writer and the eight hours of battery life, and the U47 looks like a laptop designed for power users. The display, however, is your typical 1366-by-768-pixels resolution. 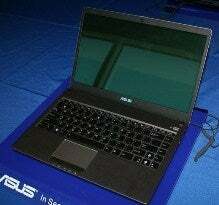 Asus hasn't released pricing yet, but the U47 is expected to compete against 14-inch and 13-inch laptops alike in the second quarter of 2012.